FORGED PISTONS ARE NOW CUSTOM ORDER ONLY! OUR SHELF PISTON SUPPLIER HAS GONE OUT OF BUSINESS. 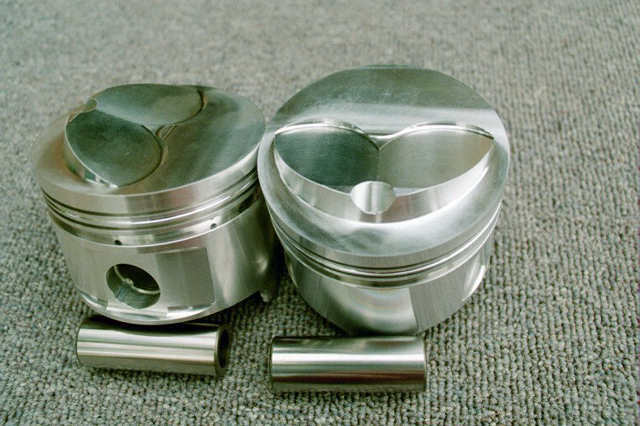 1 Piston and pin are 100 grams lighter than stock 312 piston! Shortened skirt allows use of 312 crank with bore sizes less than 3.800"
Compression ratio with head type. 10cc dome . Want lower compression? We will trim the domes to achieve desired compression.